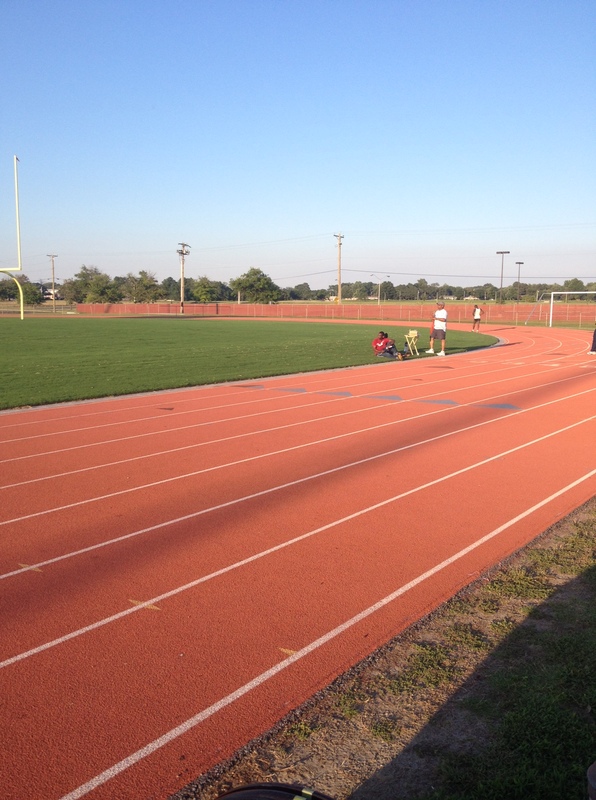 A few weeks after testing myself at the mile, I returned to the next All-Comers Track Meet in Salisbury to see how I could do. The result on Friday evening, July 31, was that despite eating Pizza Hut Stuffed Crust pizza, wings, cookies and some cookie dough earlier in the day, I actually did better than I did about three weeks prior. I ran the mile — the 1600-meter — in a time of 7:14. It isn’t my fastest time, but as I noted, it was faster than my other track meet time for the mile this summer, which was about 7:22. The winner finished with a time of I believe around 5:19 — very fast! I ended up finishing ahead of the other adult woman in the race, earning a blue ribbon, but behind two boys — I think they were age 10. I felt like I had a little bit of breathing trouble again, which seemed to slow me down more than any sort of leg pain, but that wasn’t as bad as on the previous occasion. It was hot, but it felt less hot than at the previous meet. The Eastern Shore Running Club, of which I’m secretary, provided water and Gatorade, and as I sat by the table with my boyfriend, he was talking about how talkative the kids were who would come up to the table. It was nice to have a chance to interact with the young runners, and as an avid runner myself who has gained some great relationships from the sport — as well as fun — I thought it was great to see all the kids out there and their positive attitudes. Looking for an affordable race coming up soon? The first race of the Summer Cross Country 5K Series is this coming Saturday.